The weather for the last few weeks has been less than stellar. Rain, rain, rain followed by more rain - and this is Central Wisconsin not Seattle. My wife and I were watching a movie one evening when we noticed the fog begin to descend. Throwing caution to the wind, I jumped in the car and drove around the corner to our favorite marsh. 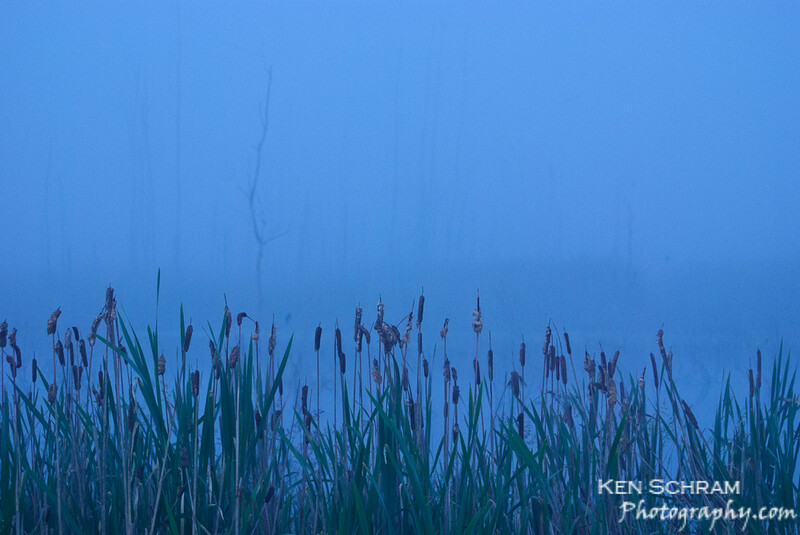 After having some difficulty locating the turn off because of the thick fog, I eventually was able to get out and grab just a few shots before nightfall sent me home. This was my favorite.